SAN MARCOS – “Remembering LBJ and His Legacy: Local Recollections – An Oral History Project” is the title of the collaborative exhibit at the Lyndon Baines Johnson Museum of San Marcos that will have its public opening at 2 p.m. Sunday, August 24, 2008. There is no charge for admission and the public is invited. The public opening will follow an invitational preview reception hosted by Texas State University President Denise Trauth on Saturday, August 23, just prior to Texas State University-San Marcos’s new student convocation. Members of President Johnson’s family are expected to attend both the preview reception and the convocation. Because of the museum’s convenient downtown San Marcos location, Dr. Trauth invited the museum’s board of directors to stage the exhibit at the museum. Wimberley historian Barbara Thibodeaux interviewed 48 individuals for the project. 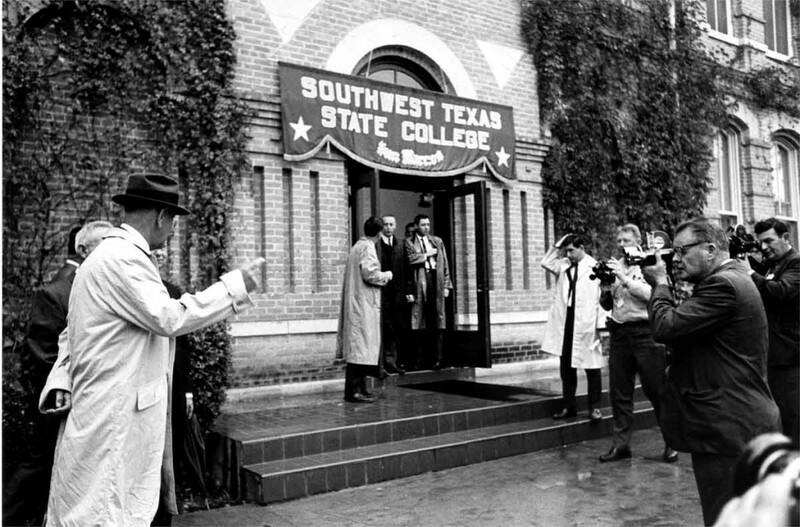 The words and thoughts of Johnson-era San Marcos community leaders, area residents, Texas State alumni and friends of the late President were recorded and transcribed. Funded in part by a grant from Humanities Texas, the exhibit represents the museum’s first interactive exhibit. It includes oral history text, photographs and an interactive kiosk of audio clips and other items evolving from the university-sponsored oral history project. Equipment and display panels made possible by the Humanities Texas grant add features that the museum has been missing since its opening on Dec. 6, 2006 – interactive capabilities and better portable components that will enable the transport of exhibit elements to off-site venues, such as the local public schools. 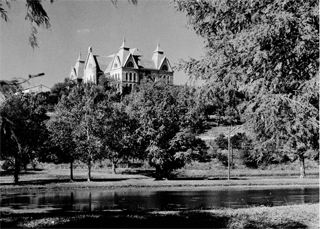 Although the Oral History Project is an outgrowth of the Texas State LBJ Birthday Centennial Steering Committee’s Community Subcommittee, chaired by San Marcos resident Bill Cunningham, university officials say the idea originated with a suggestion made by President Johnson’s elder daughter, Lynda Robb, who said memories about her father’s time in San Marcos should be preserved. For more information, contact Scott Jordan at 512-353-3300 or e-mail director@lbjmuseum.com. Note: The photo of Liz Carpenter is courtesy of the LBJ Presidential Library for additional information please click here.